The sweets and eats at your wedding reception are just another opportunity to display your unique style and personality as a couple. Think that a wedding requires a standard buffet or a 3-course meal served at banquet tables? Think again. Elegant wedding food can be offered in creative, non-fussy ways. If you are having a small outdoor wedding, consider preparing picnic baskets and blankets for your guests to lounge on the lawn and enjoy the reception. Food trucks are very popular, and are known for their ability to quickly serve large numbers of people. 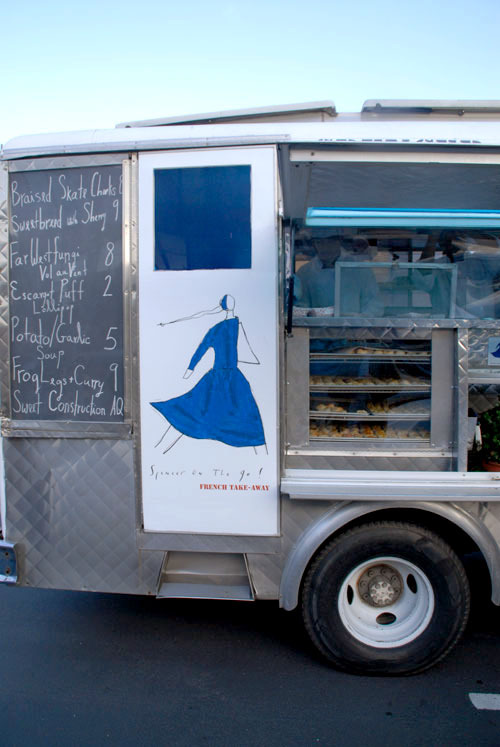 Food on wheels comes in every variety: from tacos to ice cream to french cuisine, and can be a big hit at your wedding reception. Surprise and treat your guests with a street vendor! Or, you could go with carnival-inspired food selections to match a festive theme. Pass trays of small bites that are popular at fairs like chicken and waffles, corn dog poppers, french fries, popcorn, funnel cake, or cotton candy. An interactive cocktail station where guests create their own spiked snow cones or cotton candy martinis could be a fun addition. Have fun with your catering decisions, and take the opportunity to enhance the atmosphere of your wedding. Most importantly, be sure to choose food that you like to eat — it is your wedding, after all!